This is the trans-dimensional opposite of Malevich’s infamous Black Square. Like in cartoons when a character’s evil twin shows up through a portal, but Kandinsky’s In the Black Square is the good twin. Though probably both think they’re the good version. Black Square was a black square of paint inside of a white border, Kandinsky basically hit ctrl-i in Photoshop and flipped the color values. So in that sense, the two pieces are literally opposite. But ideologically too, Kandinsky was at odds with his Russian modernist peers. The tensions leading to WWI were high and god was dying and the leftists were mounting the beginnings of revolution and winters were really, really cold, leaving every decent artist in Russia to stare deep into the void and wonder what to fill it with. In some high school history class Locke v. Hobbes sh*t, Malevich decided the void was it while Kandinsky felt sure there was more. Black Square was the end of a successful quest for nothing, proving life pointless. Kandinsky’s In the Black Square is a counterargument. As if to say Malevich, you got it wrong, bro. And inside, in all that quote-unquote emptiness, are all these fun colors and shapes. Is that a great big shining sun? And oh man, are those little puffy clouds?? Some outer space maybe? Wow, so cute and happy and bright. That’s stimmung babe, in Kandinsky’s own words: “purify the spectator...key it up”! 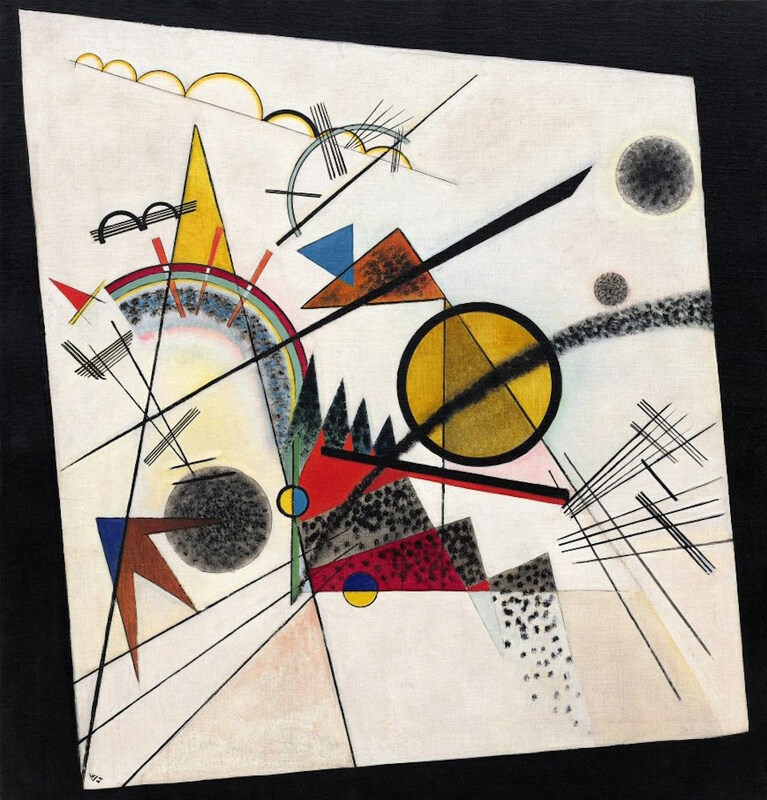 Kandinsky left Russia pretty quickly after Malevich’s vibe became the national personality. And yeah, he was definitely born with more joie de vivre than Russian je ne sais quoi, but he also had synesthesia. Young Wassily was touching colors, tasting them, hearing them, feeling their “psychic vibrations” all the time. Malevich’s belief in empty darkness probably felt just straight wrong. Agree to disagree? Unfortunately 20th century art critics are masochistic nihilists, so In the Black Square never got the mythical status of its opposite. But you have to love Kandinsky for really wanting life to mean something.